The undergraduate student organization, the Anthropology Club, offers members a chance to get to know other students, interact with facutly and learn more about research and field study opportunities. 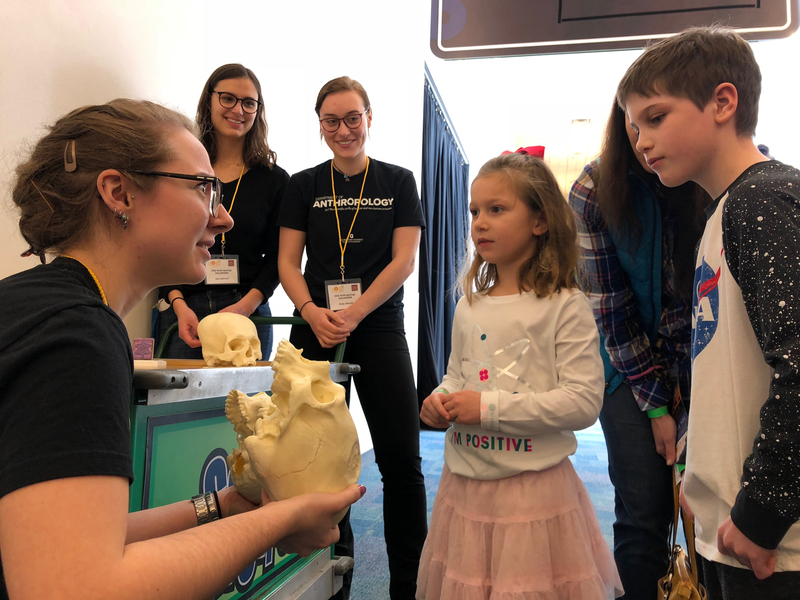 Students may also be interested in outreach and engagement opportunities provided through the department's Antrhopology Public Outreach Program (APOP). Anthropology faculty and graduate students are actively involved in conducting medical anthropology research and welcome the involvement of undergraduate students in these endeavors. Investigate how cultural ideals regarding child development shape exposure to pathogens and the formation of the gut microbiome. Understand the ways food insecurity affects the physical and mental health of populations in the USA and around the world, including among students on the OSU campus. Understand the factors that shape migrant and refugee health in the USA.